Maruti Suzuki has launched the all new 2019 Wagon R loaded with extra features and a new engine in the Indian market today. The new Wagon R sticks to its tall-boy roots although it is quite different from the outgoing model – there’s a new platform, a new design, more room on the inside and the option of a more powerful engine. 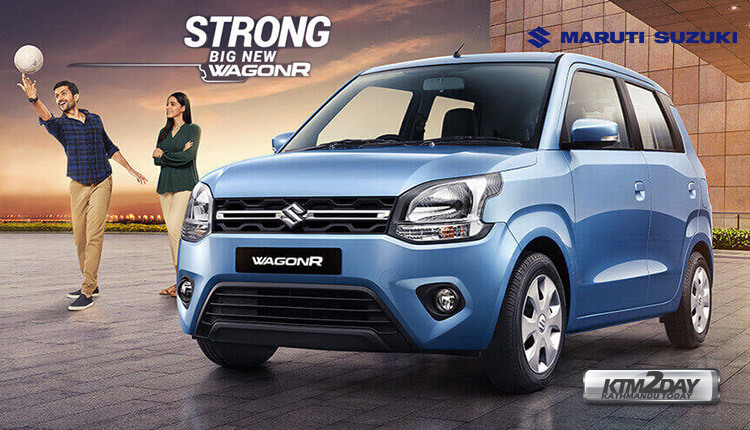 The new Maruti WagonR 2019 has grown from being a basic hatchback to a well-equipped package with more power and space than ever before. 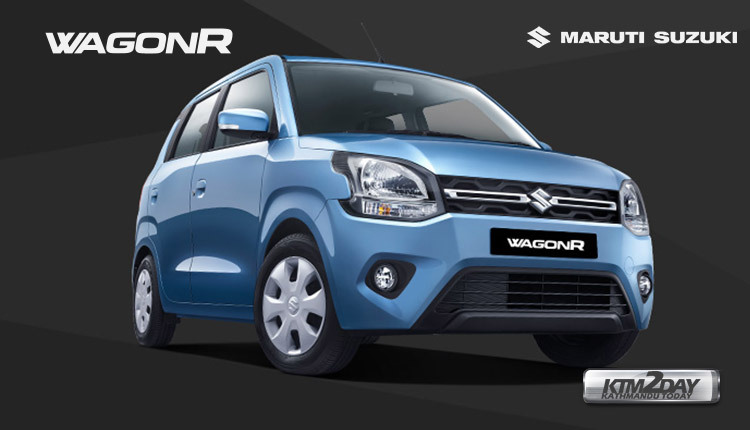 The manufacturer has confirmed that the new-gen WagonR is based on the fifth-generation Heartect platform. 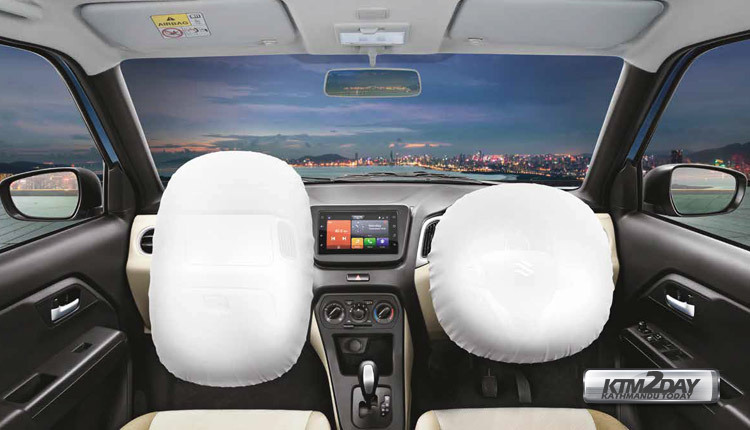 It also confirmed that safety features such as a driver airbag, ABS with EBD, rear parking sensors, speed alert system and seatbelt reminder will be offered as standard. 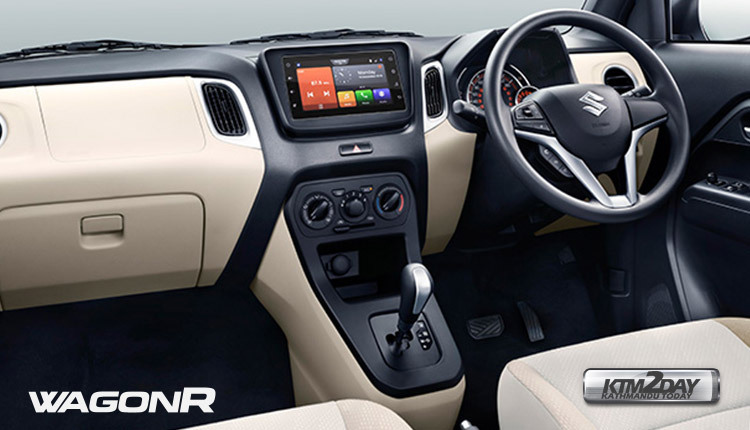 The new WagonR will also get a brand new touchscreen infotainment system along with usual features such as manual AC, four power windows, rear wash/wiper and steering-mounted audio controls. The new Wagon R is based on Suzuki’s Heartect platform, which has made it larger, albeit lighter than its predecessor. It’s 19mm longer, 125mm wider and has a 35mm longer wheelbase. This means that the Wagon R will retain and improve on its USP-cabin space. The new Wagon R comes with two engine options for the first time – the same 1.0-litre continues on the new car and is now joined by a more powerful 1.2-litre petrol as well. Both engines are from Maruti’s tried-and-tested K-series family. The larger 1.2-litre engine is the same unit that powers the Swift, Dzire, Ignis and the Baleno. It can be had with either a 5-speed manual or an AMT. Like its siblings, the WagonR equipped with the larger motor produces 83PS of power and 113Nm of peak torque. Claimed fuel efficiency for both MT and AMT stands at 21.5kmpl for the 1.2-litre motor and 22.5kmpl for 1.0-litre unit. The new Wagon R is longer and wider than its predecessor, which translates into more cabin room as well as legroom for the rear passengers. There is a longer features list too, and there’s a new top-spec ZXI trim on offer for the first time with the Wagon R.
The new Wagon R nearly matches the Tata Tiago in terms of outright power, thanks to the new 83hp, 1.2-litre engine, and is as well specced as rivals like the Datsun Go and Hyundai Santro. The new Wagon R is on par with segment rivals like the Hyundai Santro and Tata Tiago. It gets a driver’s side airbag (ZXi variants get dual front airbags), ABS with EBD and rear parking sensors, apart from other now-mandatory equipment. The top-spec Wagon R ZXi gets creature comforts like a 7.0-inch touchscreen infotainment system with Android Auto and Apple CarPlay compatibility, power folding and adjustable wing mirrors with embedded turn indicators, front fog lamps, a rear defogger, washer and wiper, and more. Priced between INR 4.19 lakh and INR5.69 lakh, the new Wagon R is up to INR 34,000 more expensive than the outgoing model.While the WagonR is now more expensive than its predecessor, it rivals the same set of cars like the Hyundai Santro, Tata Tiago and the Datsun GO. The arrival of newly launched 2019 Wagon R is imminent in the Nepali market in the next couple of months. The starting price for the base variant will be at around NRs.25.30 Lakhs while that for the top ZXi AGS variant is expected to be close to NRs.34 Lakhs in the Nepali market. 2019 Wagon R colour options include Magma Grey, Silky Silver, Superior White, Pearl Autumn Orange, Pearl Nutmeg Brown and Pearl Poolside Blue.